The primary advantage of this product is its safety. It is a convenient way to have on-demand fly control. Flies are one of the most annoying of pests whether you’re a human or an animal. They’re incredibly persistent once they’ve found you. No matter how much you swat at them, they keep coming back for more. They also bite which makes them even more disagreeable. These flying insects pose additional health risks too as carriers of serious diseases. There are a plethora of different types of products you can try to rid your home or yard of these bugs. They vary in their approach and usage. Our Best Fly Repellent review takes you through the lineup of options with the proven winners in each category. Continue reading to take that first step toward a pest-free home. How Do Fly Repellents Work? How Can I Prevent a Fly Problem? It works against insects, spiders, and rodents. It is not messy or complicated to use. It comes with a 100-percent quality assurance guarantee. It provides 360 degrees of coverage. You need to use it at least two weeks before you know it’ll work for you. It has a wave range of 20 to 155 kHz to target specific pests. It uses electromagnetic and ultrasonic waves along with optical deworming. It has a range of about 1,076 square feet. Its dimensions are 6.2 x 4.7 x 2.7 inches. 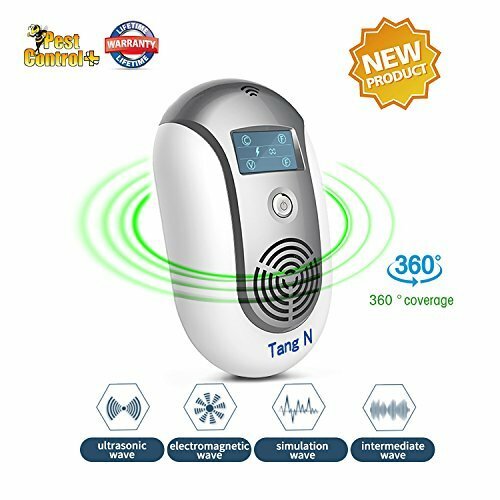 TangN Ultrasonic Electromagnetic Pest Repellent works by emitting pulsating sounds that the manufacturer claims will deter a broad range of pests. You can adjust the frequency of the device to home in on what works best in your situation. It provides all-around coverage of just over 1,000 square feet. All you have to do is plug it in and power it up to get started. The company has some specific instructions regarding the placement and length of time before you’ll see results. They back it up with a guarantee too. Some people may find the smell offensive. Citronella is toxic, especially to adult honeybees. Andiroba oil is poisonous to bee larvae. The tube contains 12 incense sticks. Each one burns up to two hours. They contain both citronella, thyme, and rosemary. 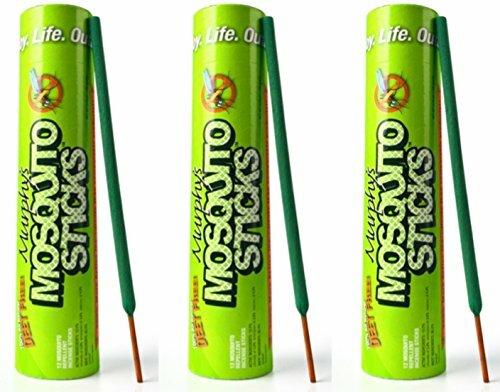 Murphy’s Mosquito Sticks provides a fragrant way to get rid of flies and other pests so that you can enjoy your backyard again. They do not have an open flame but instead smother and release smoke as they do. The coverage depends on where you use it and the wind conditions. They last up to two hours and give off a gray smoke. You can put the sticks in a pot to make them a feature on your deck or patio. You can snuff them out and reuse them if needed. It is a self-contained unit. It provides a pleasant light when sitting outdoors. It lasts up to 30 hours. It repels other pests like mosquitoes too. Having an open flame so close to where people are active is problematic. Exposure to the smoke may lead to allergic reactions in some individuals. The candle is 17 ounces. The active ingredient is citronella. 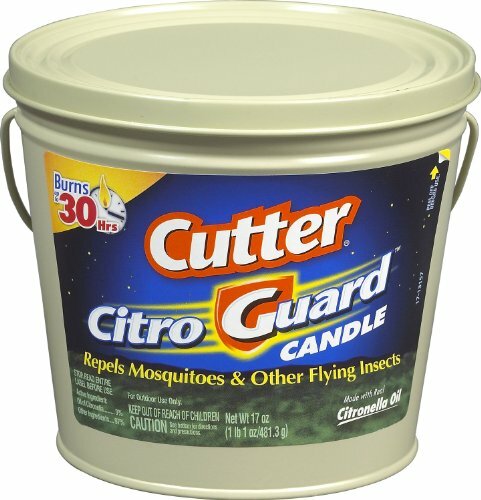 The Cutter Citro Guard Candle with citronella works by repelling flying insects and confusing them by masking odors that would attract them. You need to place it within three feet of where you are sitting for maximum effectiveness. You’ll have the best luck by creating a perimeter of burning candles. It lasts a long time. You can reuse it by extinguishing it and covering the top to keep it from melting. It’s a humane option because it only repels the pests. It can double as a nightlight. It’s not immediate relief because it takes three days to work. It covers up to 1,615 square feet of unobstructed space. The dimensions are 2.4 x 2.4 x 3.9 inches. 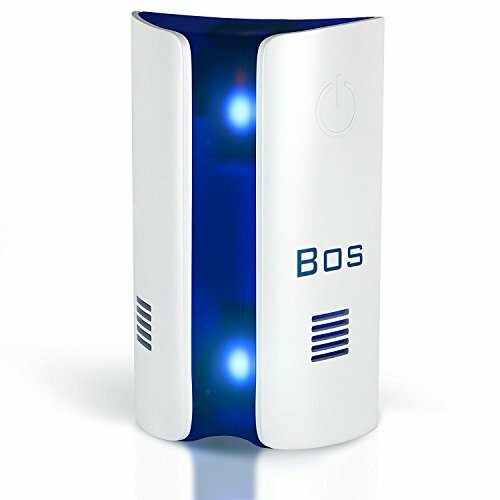 BOS Ultrasonic Pest Repeller Control uses both electromagnetic and ultrasonic waves to keep flies from your home. It operates silently so that it won’t disturb anyone in the room. It’s safe too without any worries of harm to children or adults. It will also repel other nuisance pests such as mice and other insects. This model is strictly for indoor use. Like other devices of its type, it takes a few weeks to work. It is a deterrent. The pests have to figure out that your home isn’t hospitable before moving on to some other place. You need to install it in an elevated position off the floor for it to work. It repels other insects such as ticks and mosquitoes too. It has a proven track record of usefulness. It leaves an oily feeling on your skin that you’ll need to wash off when you come back indoors. It may leave stains on some materials. It comes in single, double, or 12 packs. It contains 40 percent DEET. 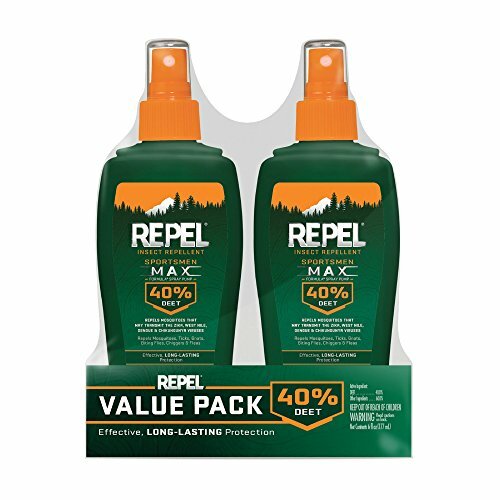 Repel Sportsmen Max Insect Repellent Pump Spray is the ideal solution when you need to take a more direct approach to get rid of flies. The product contains DEET which is one of the few ingredients known to repel insects. While there are some uncertain health risks, you have to balance them with the benefits of preventing disease. You should only use as much as recommended and follow the label’s instructions regarding application. The spray does work. However, it can stain some fabrics. It’s a convenient way to apply the repellent without the mess of an aerosol or spray. The concentration of DEET is within the ideal range of health risks and protection. You can apply it just where you need it without worry of over-spray. The disposable wipes are not environmentally friendly. We’d prefer individually wrapped wipes. A package contains 15 cloths. It contains 30 percent DEET. The dimensions are 3 x 1.6 x 6.2 inches. 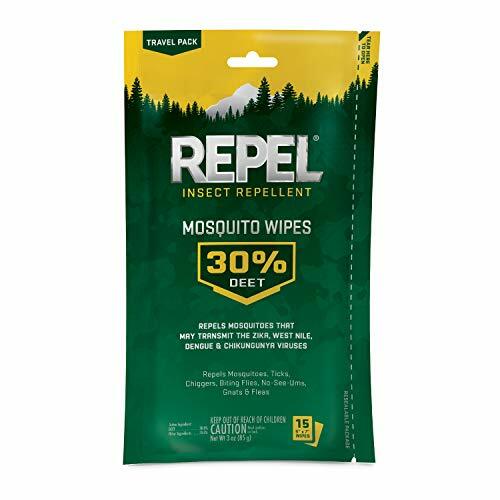 REPEL Sportsmen Mosquito Repellent Wipes offers another way to repel flies and other insects in a more convenient fashion. Unlike the previous product, the concentration of DEET is less and at a safer level that balances the risks and benefits well. It’ll protect you for up to 10 hours. While it won’t damage natural fabrics like cotton, it may stain synthetics. It comes in a resealable package that you must close in between uses. And while it’s not the most eco-friendly choice, it is convenient. There’s no denying its effectiveness either. They will keep the flies and other pests away. Feel free to experiment with different options to get something that helps keep down their numbers and your discomfort. Now that you know what your options are let’s dive into the details of how these products work and if they’re worth the investment. We’ll finish up with tips about how to prevent an issue with flies both inside and outside of your home. These products tackle the issue from several fronts. Some contain synthetic or organic ingredients that may confuse, deter, or even kill these pests as with insecticides. They may rely on scents or electronic signals in the case of ultrasonic devices. The label will provide specific information about the best ways to use them. They may include optimal placement or dosage in the case of topical products. You may find that using more than one kind works most effectively. Feel free to experiment with different options to get something that helps keep down their numbers and your discomfort. You’ll often see products containing DEET or other insecticides. These ingredients will work to repel flies and other pests too. However, you should use them as described in the least amount that you need for adequate protection. Some may stain clothing, so take care when applying sprays or aerosols. We recommend washing the product off when you come back inside too. The effectiveness varies with the type of product and its primary action. The language of the description often has several clues to guide you and get the most out of your purchase. In addition to the application, also pay attention to the correct storage. This simple act can prolong the usefulness of them so that you get your money’s worth. Some repellents contain pesticides which can play a role in their correct use. We strongly urge you to read the entire label including the cautions and warnings before using any product. You’ll find some that are EPA-registered which indicate their efficacy and safety. Manufacturers of these items must put them through rigorous testing. The company’s website for this caliber of products should provide the material safety data sheets which will tell you everything you need to know. They are dry reading, but tremendously helpful if you have concerns. They’ll also provide details about the proper disposal of empty containers and ways to avoid harming non-targeted insects and wildlife. That gives you the all the details about how to use them for maximum effectiveness. We also suggest paying attention to any expiration dates on the products. Those that rely on scents may not last as long as other types once you’ve opened them. Avoiding an issue with flies has the goals as with any other pest. You have to take steps not to create the ideal habitat for them in your backyard. That means getting rid of the things that may attract them to your home in the first place. On the outside, focus on keeping your garbage cans clean by rinsing them out regularly and keeping them closed to contain the odors. Flies are opportunistic and will seek reliable sources of food—even if it’s in the trash. Also, look for other potential hotspots like picnic tables or grills where spills can accumulate and lure them to your yard. However, they are inevitable at certain times of the year. Use common sense measures such as shutting windows and doors. Repair any damage or holes in screens too. You might consider planting some of the herbs included in repellents with essential oils such as lemongrass or citronella. You may have luck with aromatic choices too like basil and lavender. Be sure to pick ones that can survive in your USDA Plant Hardiness Zone for the best results.